Storage solutions company LaCie has just announced a new external hard drive which is compatible with the new USB-C technology. Called the LaCie Porsche Design Mobile Drive, the company implemented the USB-C technology into this device from its existing Porsche Design series. It seems that users might not need to purchase that many adapters or dongles to get the usual ports back on the new Macbook 2015. LaCie’s latest Porsche Design Mobile Drive is an external hard drive that is compatible with the USB-C port found on Apple’s latest iteration of the Macbook. This makes the product the first to feature the new connector which is reversible, where users do not need to worry about inserting the cable wrong side up. In terms of file transfer rate, the LaCie Porsche Design Mobile Drive is capable of USB 3.0’s transfer speeds of 100MB/s. The product also ships with a USB-C to the standard USB Type A cable for backwards compatibility with USB 3.0 and 2.0, allowing the hard drive to work with almost any device from the past. 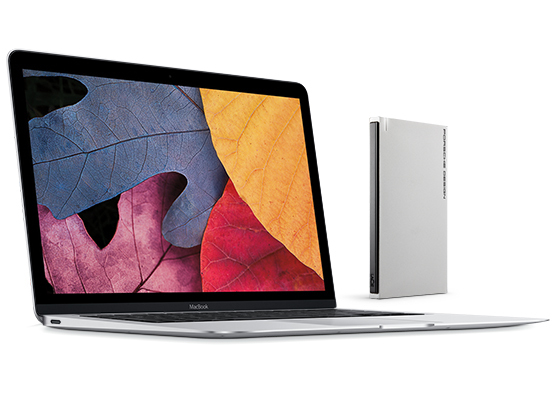 The external hard drive will come in three different capacities – 500GB (slim), 1TB and 2TB. No pricing information has been made available yet, but the LaCie Porsche Design Mobile Drive will come with a two-year warranty and it will be available starting Q2 through LaCie online stores and official resellers.